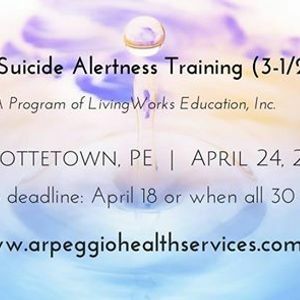 safeTALK is a half-day (3.5 hour) training developed and regulated by Living Works Education, Inc., that prepares anyone over the age of 15, regardless of prior experience or training, to become a suicide-alert helper. Most people with thoughts of suicide don’t truly want to die – instead, they are looking for a way to work through the pain in their lives. Through their words and actions, they usually invite others to help them in making a choice for life. safeTALK teaches participants to recognize these invitations, engage with the person with thoughts of suicide and connect them with life-saving intervention resources. Add safeTALK certification to your résumé! 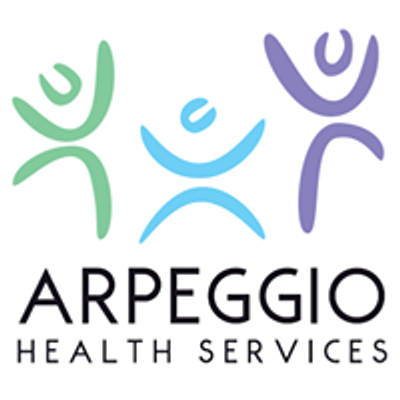 Further information and online registration is available at www.arpeggiohealthservices.com. Wednesday, April 24, 2019 | 5:00 - 8:30 p.m. Course fee includes take-home course booklet, additional resources and official safeTALK certification through Living Works Education. This training session will be facilitated by Elizabeth Eldridge, BMT, MTA, Founder & Director of Arpeggio Health Services. Elizabeth brings course material to life by drawing on over a decade of experience in clinical mental health care, including acute, inpatient, outpatient and forensic settings. 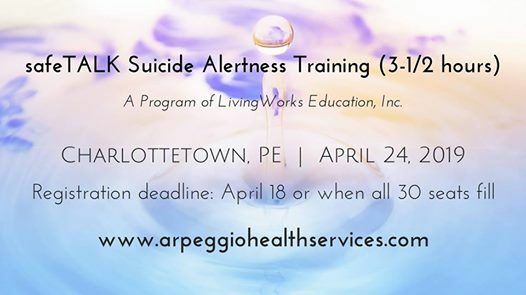 A seasoned speaker, she has facilitated over 200 mental health training sessions, certifying more than 2,500 Maritimers in Mental Health First Aid and safeTALK.